residency program at the Loma Linda University. He is specialized in General Surgery and board certified in Dr. Mogannam graduated the medical school from the University of California Irvine and completed his Surgery. 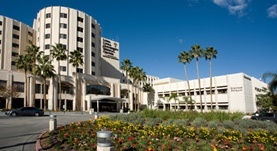 Dr. Mogannam has been in practice for more than 11 years and is affiliated with the Loma Linda University Medical Center. During his career, he has also contributed to 1 publication of medical interest. Dr. Abid Mogannam has contributed to 1 publications. Mogannam A Bianchi C Chiriano J Patel S Teruya TH Lum SS Abou-Zamzam AM Jr; Arch Surg. 2012 Dec .